Have Your Say: Who makes your favourite denim? It’s been a while since our last Have Your Say, and this time we’re getting your opinions on denim for the first time. It’s quite a straight forward question “Who makes your favourite denim?”, but as soon as you start to think it over, it’s not so straight forward. Fear not though, you can put forward multiple answers if you can’t decide on one. So far the options include Edwin, Nudie, NN.07, Levi’s, Fallow, A.P.C., ACNE and Tenderloin. 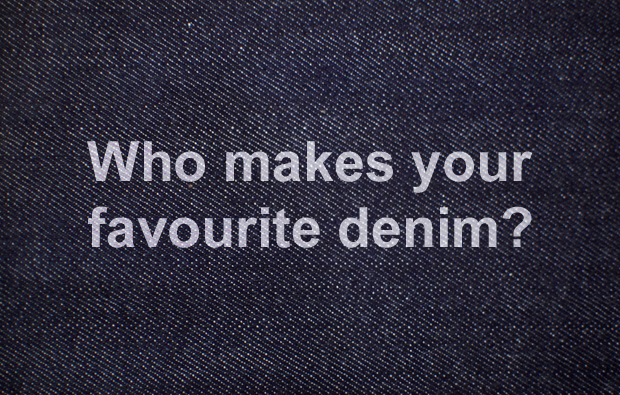 If your favourite denim manufacturer isn’t on the list on Facebook, simply add it on. We’ll be publishing the results next week, so make sure you ask your friends to answer as well so we can get the best results. Poll Results: What’s your favourite classic Air Max? Gotta be nudie, think i’m on my 7th pair, been buying them since i was about 16. Taped ted is such an easy fit to wear! Nudies are so poorly made, I’ve had several pairs and none of them have made it past the year mark. The crotch blows out on all of them soon enough. Albam selvage jeans are the best imo, top quality and great fit. Reasonable price as well. Tellason are really nice, fit great. Edwin, can’t see past them, especially the SEN range or the Nashville. April 77 no questions. Especially for the taller gentlemen!